TYCOKIT No.7754 Howard Johnson's contains 65-pieces molded in five colors and included a sheet of sticker for signage and interior detail. When built, the model's dimensions are 8-1/16" x 4-7/16" x 3-5/8". This kit was added to the group of TYCOKITS in the 1979 TYCO catalog. The Howard Johnson's kit is featured in TYCO catalogs from 1979-1989. This kit does double-duty in the 1982 TYCO catalog, where it is found in trains and in the US-1 Trucking line. As part of the US-1 Trucking series, TYCO refers to the kit as Howard Johnson's Truck Stop and it carries the catalog number of 3783. Besides a different box, the kit's contents remain the same in either offering. During the 1980s, TYCO included a lighting kit with many offerings and noted such kits by adding a "B" to the stock number. TYCOKITS that included a lighting kit also generally included an announcement of the kit on the package face. 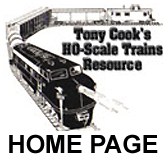 In recent years since TYCO departed the model train business, IHC-International Hobby Corp. has offered this same Howard Johnson's kit among its line. 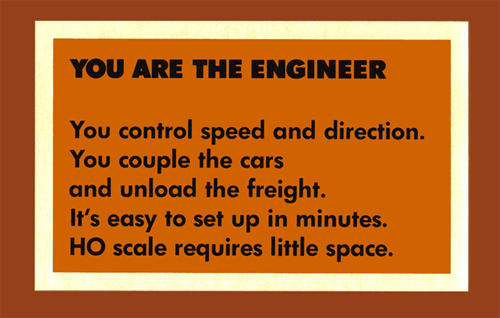 For two years, 1982 and 1983, TYCO offered three building kits in its US-1 Trucking product line. All three were taken from the model train TYCOKIT series. The Howard Johnson's kit becomes the Howard Johnson's Truck Stop (No.3783) in the US-1 Trucking line. Unlike the Exxon Station and Truck Terminal, which both receive makeovers for their US-1 Trucking appearances, the Howard Johnson's is the same in either product line. The only exceptions being the different catalog number, name, and packaging.